The challenge over at Just Add Ink this week is a picture inspiration and I absolutely love it. 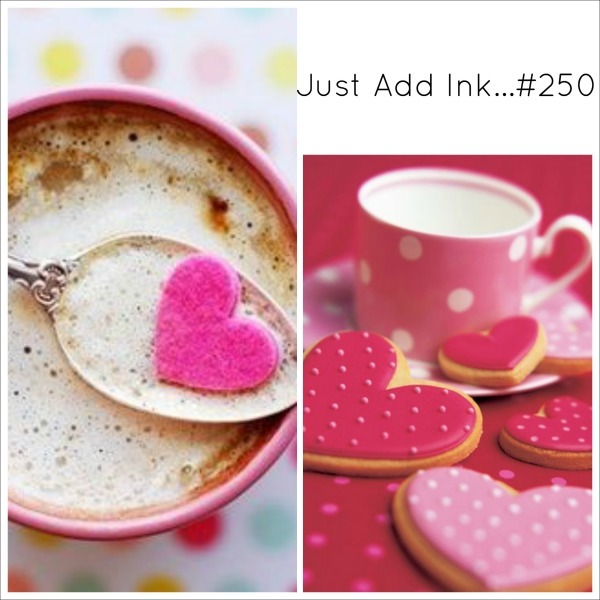 Pink, polka dots, love hearts...doesn't it make you feel all warm and gooey? We are celebrating lots of birthdays in our family this month and this one has been made for my beautiful, caring and gorgeous niece, Erin, who always makes everyone feel special and loved. I used the new Celebrate Today balloon stamp set from the new Occasions Catalogue. Absolutely gorgeous! I can pick your cards from a mile - I just love your style Louise! So soft and pretty and love that stunning pop of gold! This is so sweet and just love that sequin string, its a gorgeous embellishment and perfect for your card. Just beautiful! !